FuneralCoverQuotes.com is an initiative by InSHoor™, a registered financial services provider FSP # 43216. InSHoor™ is a vibrant insurance broker based in Centurion in Gauteng. We started out as two young entrepreneurs forced to share an office with a debt collector. Within less than 2 Years, InSHoor™ grew into a multi-award winning company. 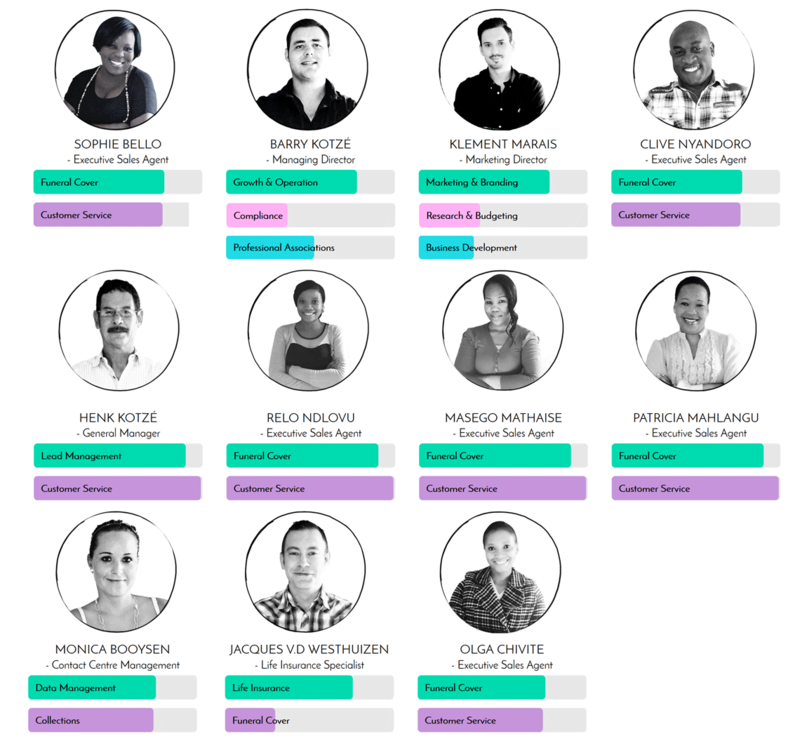 We boast an impressive 25-member team. We currently have branches in Centurion & Krugersdorp. Formerly known as Primesure, we are grateful for all the success we achieved so far. We have been working countless hours in the last couple of years. We want to become our nation’s most trusted insurance portal. We want to bridge the gap between consumers at the insurance industry. We do not believe that finding the right insurance for your needs must be difficult. We have an immense passion for our clients and specialize in funeral insurance. We offer a national service. We serve hundreds of clients every single month. At InSHoor™, we strive to bring our valued customers the best possible funeral insurance. We do this at a very affordable rate. FuneralCoverQuotes.com is one of a series of websites used by InShoor™. We generate all our funeral insurance leads. By using any of our websites, you can rest assured that we will not send your details to all the providers we represent. All leads generated are solely for our use. We do not want you to get several calls from different providers. We want to make it as quick and easy to sign up as possible. We are a registered financial services provider. We can present you with all the various options. We do this directly from our call center. We can arrange your policy on a personal level. You will receive just one call and work with only one agent. At InSHoor™, you can get free insurance quotes for most of your needs. We also offer life insurance, home, car, and business insurance. If you require other insurance quotes, feel free to contact us for more info. We represent several South African short-term insurers. Including Santam, Auto & General, Metropollitan Life, Discovery Life, Altrisk & Brightrock. We have made sure that all the companies on our books are well trusted. They must have a remarkable record of success. We do our best to find cheap funeral cover for our clients. We represent only the most trusted burial insurance providers in South Africa. InSHoor™ received the award for the top AVBOB broker is South Africa in 2012 & 2017. Many of our team has been with us since the day we opened our doors. We take good care of our staff, and they are extremely loyal to us. We provide constant training and quality checks to ensure that our staff members are always on the top of their game. If you have any questions or comments. Feel free to email us on [email protected] – We value your input.